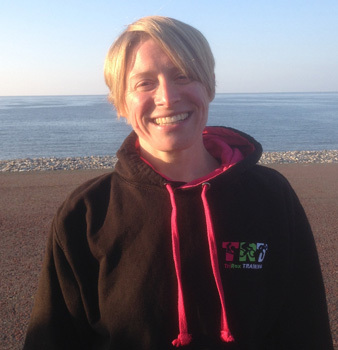 TriRox Training is a personal Triathlon Training Service based in Llandudno, North Wales that helps develop and improve athletes, in a fun, positive environment. Set up by successful Triathlete Rhian Roxburgh, the business offers comprehensive support across a range of training services. BA Physical Ed, Level 3 British Triathlon Coach, ASA Swim Teacher. 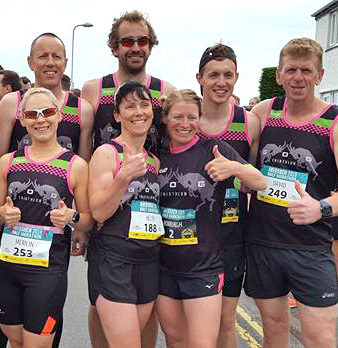 Bala Standard, Slateman, Sandman, Peak District Triathlon, Milton Keynes Standard, Bala Middle, Tuska, Llandudno Standard, Llandudno Sprint, Abersoch Triple Crown, Fishguard Standard, Wetherby Standard, Harlech Sprint. “I like to keep things fun and exciting and want people’s motivation to be high. Rhian started a life of sport in the competitive world of swimming, specialising in butterfly as a child winning both County and National Titles, going on to represent the Welsh Universities team whilst studying for a BA in Physical Education in Cardiff. Her love of swimming saw her qualify as an ASA Swim Teacher, where she continued to work with children and athletes whilst working in Primary Education. A break from the competitive arena ended when Rhian entered her first triathlon in 2005, coming second overall, sparking a love with the sport that continues today. The following year Rhian won Bronze at the World Age Group Championships, the year that Chrissie Wellington won outright. Rhian is now a vastly experienced triathlete, who briefly raced on the British Elite Circuit placing 5th at Blenheim and Windsor and represented Great Britain at Elite level at the ETU Alanya Triathlon European Cup. Whilst great fun, with a full time job in teaching Rhian put Elite level aspirations to one side to continue racing as an amateur, with plenty of success! 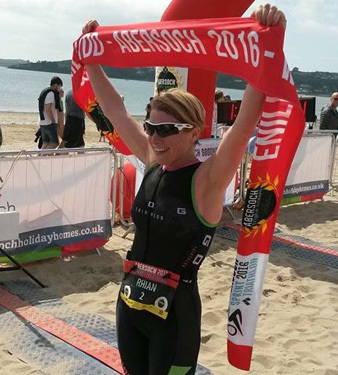 After Tenby IronMan 2011, having qualified for Kona, she decided that starting a family should come first and two children later she can fully empathise with the rigours of training whilst pregnant and also managing a busy family life, work and balancing triathlon in that equation. Having helped many athletes to improve their performance, both through technique, structuring their training as well as helping with race strategies it made sense to turn a love of the sport, racing experience and coaching knowledge to good use and turn a passion into a job. If you want to take your triathlon performance to the next level or have a specific goal that you want to work towards, or even just want to get more triathlon in your life, please get in touch via the links below.